Media City Seoul is an international media art festival on view at the Seoul Museum of Art and several neighboring venues; it presents and explores the convergence of media technologies and the contemporary arts. 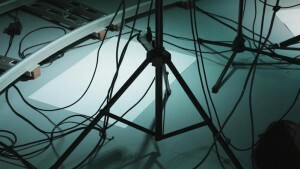 Media City Seoul, or the Seoul International Media Art Biennale, has continually served as a stage for the historical evolution of new media art and positioned itself as one of the leading festivities garnering major attention both within and outside the country. Hosted by the city of Seoul, Media City Seoul as a public cultural biennial seeks to integrate the revolutionary worlds of new technologies and contemporary trans-disciplinary art. Within the framework of the city’s vision as a media metropolis, the biennial brings together artists, scholars, curators, corporate visionaries, and audiences from around the world to participate in a program of art exhibitions and subsidiary events. Media City Seoul aims to firmly establish Seoul as a hub of information technology, media arts, and new digital culture. Through the keywords of Ghosts, Spies, and Grandmothers this exhibition will retrospect on modern Asia. 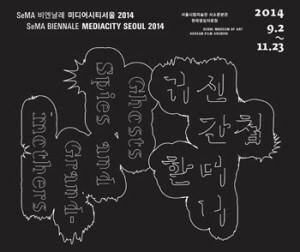 SeMa Biennale Mediacity Seoul 2014: Artists. Under the title Ghosts, Spies, and Grandmothers, Mediacity Seoul 2014 will present a large number of artists from East and Southeast Asia. SeMA Biennale, Mediacity Seoul 2014: Concept. The exhibition will question the wider technological means of utilizing the media in the 21st century, and expose the current social and political contexts in which the recent phenomena of Social Networking Services such as Facebook, Twitter, and YouTube have globally surfaced the Internet. 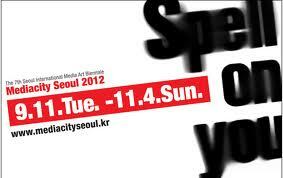 Media City Seoul 2012: Spell on You. "Spell On You" brings together works by approximately fifty artists from all over the world. 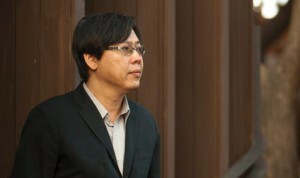 Media City Seoul 2012: Theme and Curators. 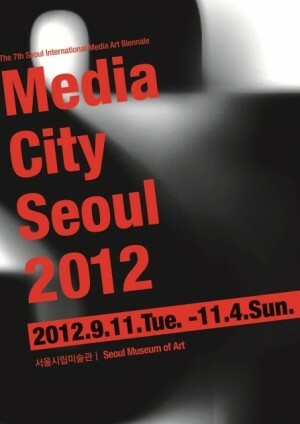 To welcome the 7th edition of Media City Seoul in 2012, the Seoul Museum of Art will host the International Symposium on the 8th December 2011. Symposium - The 7th International Media City Seoul.